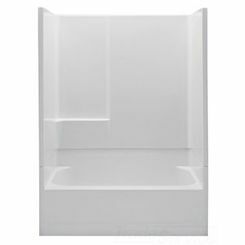 When you are limited on space in your bathroom, but you require both a tub and shower, then PlumbersStock offers several affordable combination units to meet your needs. 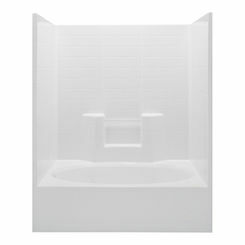 A tub/shower combo is the smart choice! They make the most of your space and offer multi-functionality. 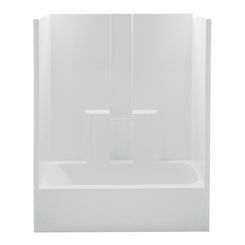 We offer a wide range of one-piece tub and shower combo units that are affordable. 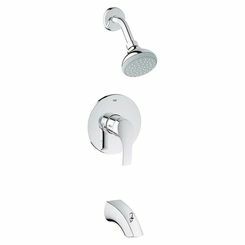 Be sure to browse our selection of tub w/ shower faucets, for a matching tub spout and showerhead. 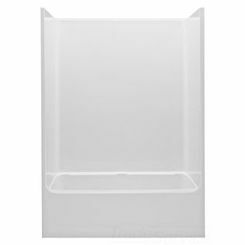 For the do-it-yourself home improvement folks you’ll be happy to hear that bathtub/shower units easy to install. You basically have two choices: (1) prefabricated kits that are fairly inexpensive and installation-friendly (especially our Aquatic options) or (2) pay a professional to come to your home to build a custom design. Clearly one of these tub and shower options is much more affordable than the other. 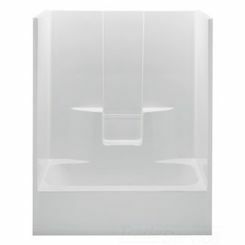 Typically bathtub/shower units are made from fiberglass or acrylic that can also be offered with a wide range of designs and patterns for you to select to fit your bathroom’s overall appearance. Use the filters on the left-hand side of the page to select the options you prefer and compare products. A glass shower door can also be added to add the illusion of more space rather than a curtain would. 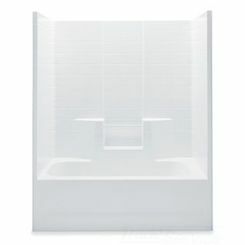 The shower door is only available for it to be installed using a track along the edge of the tub, which may require a professional. Want the most bang for your buck? Prefabricated kits give you all the functionality you need at an affordable price. One-piece units are the most watertight and perfect for new construction, but, due to the bulky size they may not fit through most doorways in existing homes. 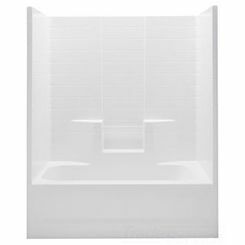 An alternative is purchasing a sectional tub and shower combo, but you should know you are increasing the risk of moisture seeping between the two pieces and causing damage to your outer and inner wall. Prefabricated units will require some assembly that may require professional help, but most novice DIYers can tackle the installation on their own! Take the exact measurements to find an available size when purchasing a kit. Also, be certain that your existing plumbing will match the placement of any pre-drilled holes. 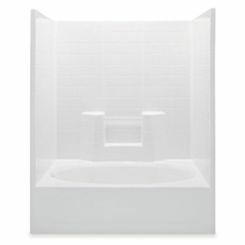 Do you prefer a more high-end look to match your personal and bathroom’s style? 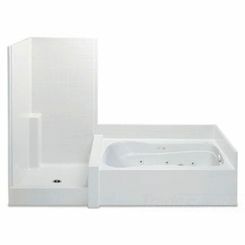 Custom tub and shower units allow for you to get the style and look you want. 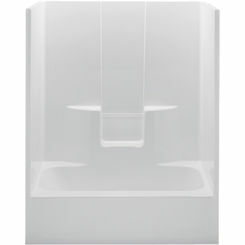 They allow for any size, configuration and materials you want, as well as customizing your fixtures and features. 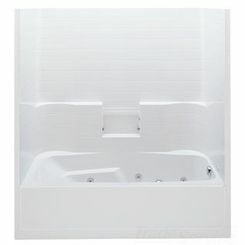 With customizing your tub and shower units, the tub is typically covered with a deck of some sort, topped with a shower surround (such as your wall or tile-like wall of your choice) and it includes plumbing fixtures. 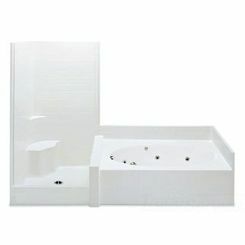 This type of installation will require a professional and bathroom designer as it goes beyond most homeowner’s skills. By choosing this style, the installation can be quite pricey compared to the prefabricated kits.